According to Carol Vogel of The New York Times, the Jasper Johns painting of the Flag that sold for a record price of $28.6 million will be exhibited at the Pennsylvania Academy of the Fine Arts until September 12, 2010. “We don't have a Jasper Johns, and we are not strong in works from the 1950s and 1960s,” said David R. Brigham, President of the academy. "It was the collector who agreed to lend the painting to the academy. It is an icon of American art, and we are dedicated to the history of American art,” Mr. Bingham said. 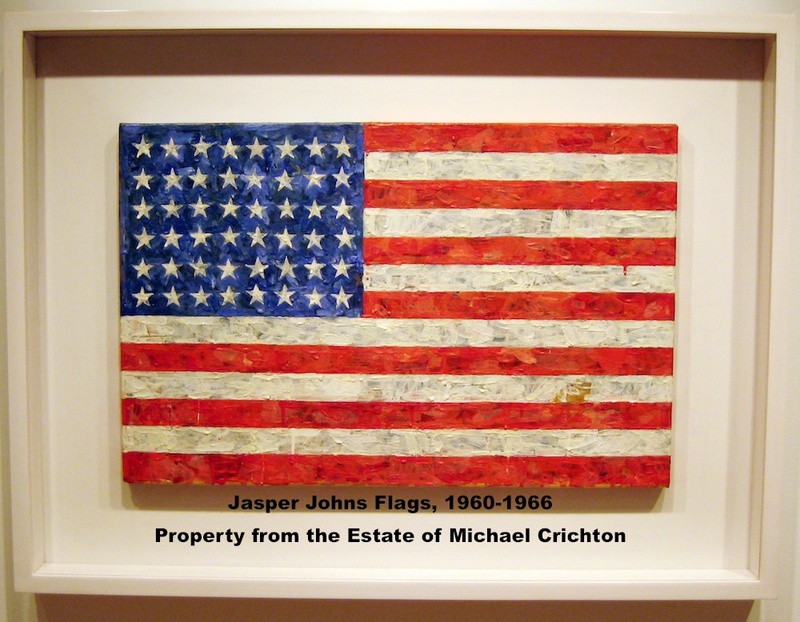 The American Flag, Targets, Numbers, Maps and Alphabets have been recurring iconic themes used by Jasper Johns since the mid-50's when the Museum of Modern Art acquired Johns' larger encaustic version of his red-white & blue American Flag Painting. Jasper Johns is particularly fond of the American Flag image since he did not have to design the flag. Creating Art with the Flag image provided Jasper Johns with a creative freedom of making the painting. Like the Flag Painting in the Collection of the Museum Of Modern Art, the $28.6 million Flag Painting, an all time auction record for the Artist, is also created with encaustic. A process of mixing hot wax with pigment, encaustic is a medium Johns has used since the 1950's that allows the viewer to see the many layers of his paintings. Since the mid-1950's Jasper Johns has predominantly used the flag image in approximately 30 paintings, 14 prints and 50 drawings. In addition to single flags, Jasper Johns has created art with double flags, multiple flags, superimposed flags, backward flags and vertical flags. He has even created monochromatic versions, including Flags in gray, black, in various mediums, including canvas, paper, print and even lead reliefs. Johns created a variation of the Flag in 1965, during a period termed by many as Op Art. 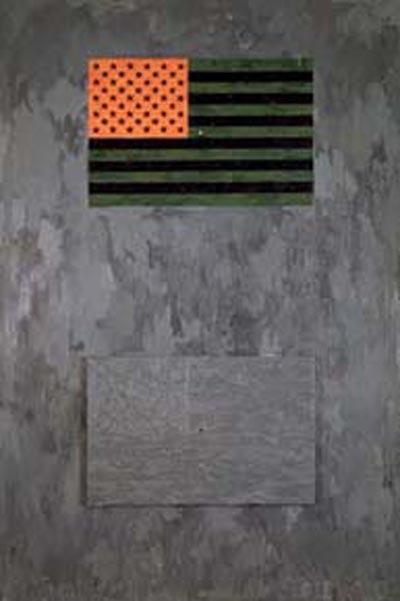 Johns created a vertical painting of two flags; on the top portion is a green, black and orange flag, and on the bottom section, a gray field. After staring at the top flag for about 30 seconds, the colors of the top flag desensitizes the retina so that the viewer sees an after-image in red, white, and blue, the complementary colors of the green, black and orange flag. With this painting, the viewer rather than the artist, "paints" the flag in its traditional red, white and blue colors. Jasper Johns has also used the Flags image as an key symbol in The Seasons, a landmark Retrospective Series, and also in Ventriloquist, also considered an image of self reflection. In 1990 the artist reflected on this body of work: "The Flag images exist at different levels of recognizably. Some are easier to see, when they are red, white, and blue, while others more obscure such as his gray ones and the one used in his Lead Relief. The public will now have a second chance to view the $28.6 million Flag painting that has the same iconic strength of the Artist's larger red white and blue encaustic flags. 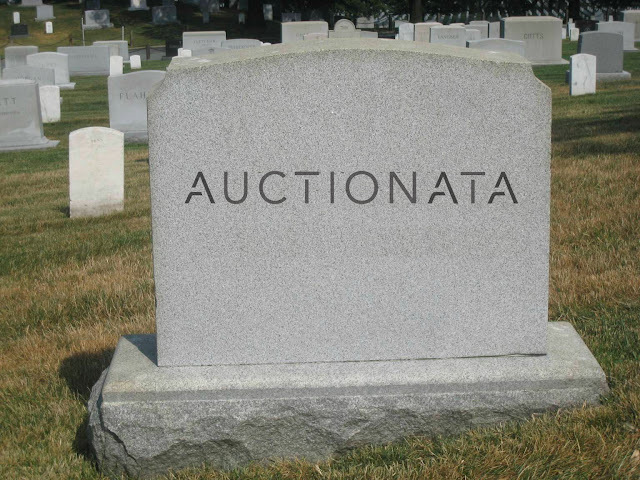 Before being sold for a world record price by the Artist, the painting was the sold by the Estate of the late Michael Crichton, the mega-selling thriller writer of 'Jurassic Park' and 'ER', the television series.